I don't want to be in the shoe's of the Boeing guy who is going to sign off on this. If they think they can fix what is clearly a hardware/sensor issue with an MCAS software update must live in dreamland. But , tja, we live in an IT is GOD period. This is clearly a HARDWARE issue, the software is secondary. 1. i see no evidence you can't disable MCAS with stab trim cutout. this is the bottom line fix that works even when all else fails. i have yet to see it won't work or didn't work in any of these accidents, it just wasn't tried. 2. i see no evidence that MCAS didn't perform *as designed* in response to an inaccurate indication of a stall based on a flawed AOA sensor. that's a software response to a hardware failure. 3. 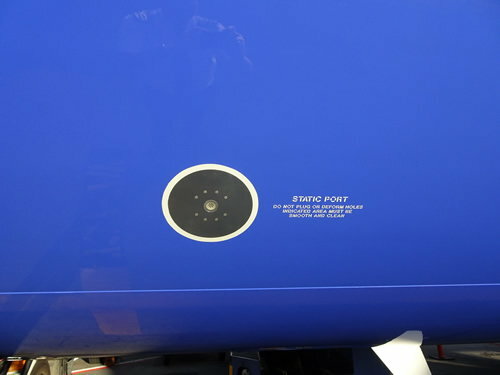 Boeing has already stated the coming fix to the software will: 1) have MCAS compare both AOA sensors and require them to match prior to any application of trim 2) have a visual alert appear to the pilots showing the MCAS application and 3) disable the ability of MCAS to apply more than a certain amount of total trim, a value which can be overcome by pilots with yoke force. that seems comprehensive in terms of a fix that would have prevented the lion air accident from happening. i see ZERO reason the MCAS issue wouldn't be resolved by the coming fix even for pilots who don't understand the proper use of the stab trim cutout switches but of course we have to wait and see what the evidence shows with this weeks tradgedy. the point is that while what you say is correct, the loss of Lion's Max show that the real world is more complex than a simple switch flick, on the day it didn't happen. The crew there were missing information. Wind forward 5 months, and with the new knowledge and AD etc, we see a likely repeat of the deal in Addis. A simple switch flick didn't happen, or didn't permit recovery in time. Sitting in a simulator and doing a procedure is slightly different to confronting a sudden life threatening, time critical event even when the cure is known. See pages 40 and 41 on 787 v 777 features. One wonders why such was not incorporated in MAX ? There is an optional module that will notify the pilots that the AoA sensors are out of agreement. It should be mandatory with MCAS but is optional so that it gets around grandfathering rules. Sheer bloody mindedness. Exactly right response to Canyon. The Lion MCAS worked exactly, 100% as designed. The kludge used bad AoA from a single sensor and fought the pilot all the way. As we may find out, even a crew that may have known about 610 flight might be overwhelmed by new malfunctions. Worse feature of MCAS is that it has the most control authority at low speed/low Mach. Damn! Just when I do not appreciate Hal trying to help me when things are going well when I retracted the flaps. I respect both fdr and gums's opinions here and I am reluctant to criticize fellow pilots, in particular the Lion Air crew who at the time did not know of the existence of MCAS, none of us did. However there were fixes to the Lion Air disaster, fixes the previous crew did find but in the over ten minutes of MCAS engagement for Lion Air that accident crew did not. This latest crash, which has yet to be proven is related to MCAS, flew for last I saw at least six minutes. The MCAS system is flawed but I struggle to blame all responsibility on the jet alone *if* these were caused by MCAS, as we need to be honest and look at crew make-up closely. But for the grace of god go I. Hopefully governments, manufacturers and pilots all learn from this. The issue is, was this a needless risk. Boeing aleady knows how to make use of redundant information from AoA sensors yet it didn't do so in this case. 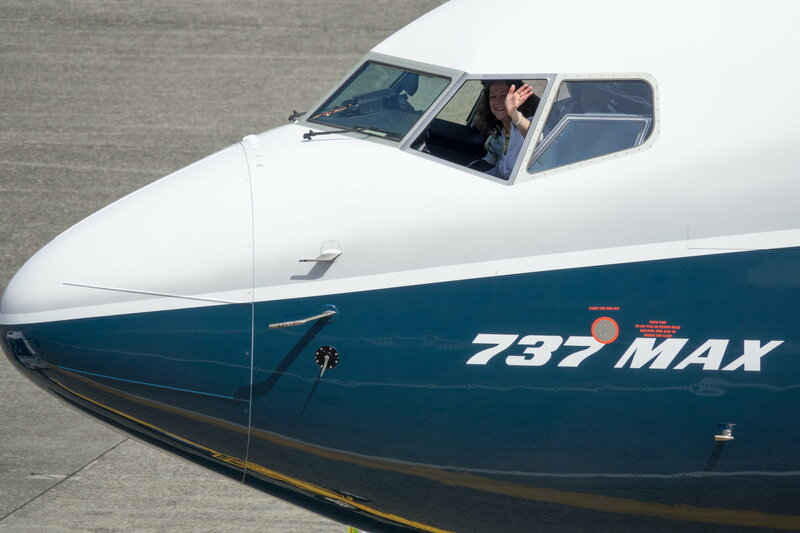 Worth reading this article by Jon Ostrower who explains, in typical pithy fashion, how Boeing were backed into a corner and had to choose between doing a warmed-up 737 or having Airbus eat their lunch. the debris field in Addis indicates that on the day, prior knowledge didn't alter the outcome effectively. The individual may be easily blamed post hoc, that is the way of the world, however, in this case one can assume that the flight crew had a vested interest in having a boring day and not making headlines, yet it didn't end up that way. The fault that occurs with the MCAS has defeated two crews to date. ET's FDR, CVR and debris evidence will show whether the crew got the stab cutout switches in the sequence. Centaurus' comments and the associated thread on aerodynamic load reduction on the stab is quite possibly the missing piece in both of these events. The certification requirement doesn't provide a guarantee of elevator authority being able to always offset an incorrect stabiliser setting. 25.255 and 25.665 cover the trim case in general, however the setup for show compliance is not the type of event that occurred. 25.672 covers stability augmentation system requirements and is probably going to get an airing in court in the near future, each paragraph is going to be topical. Boeing, Airbus, Cessna and various other aircraft builders have come across events where the stab trim has compromised controllability. Boeing, FAA SEA ACO/TAD have competent people in their programs, finding latent failures before an event is hard, it is much easier afterwards, and ET's loss speaks loudly that more is to be learnt here in order to reliably defend operation. The story is well known within Boeing - Boeing never wanted to do the MAX, work had been ongoing on a 737 replacement aircraft for years. If the 787 hadn't been botched so badly, there is a good chance the 737 replacement would have been launched prior to the A320 NEO. But resources (both manpower and money) were spread thin by the 787 and the 747-8 development. So Airbus beat Boeing to the punch with the NEO - which was selling like the proverbial hotcakes. A new aircraft would have taken at least two years longer than the MAX, and then figure at least two more years to get up to the 50-60 aircraft production rate. That's ~2000 NEO aircraft that Airbus would deliver before Boeing could effectively respond if they went the route of a new aircraft instead of the MAX. And that was simply untenable to Boeing. What Boeing still has going for it is the NMA (and the MAX fiasco might encourage Boeing to launch the NMA sooner - especially if MAX orders start going away) - the plan for the NMA has been to cover the range from 180 - 250 seats. So potentially a viable alternative to the 737-8/9/10 MAX if they can keep the recurring costs and operating costs down. Correct me if I'm wrong but wouldn't AoA sensors mounted on opposite sides of a fuselage output different values under certain conditions of bank and yaw? thats why it takes more than a simple comparison a third ' party' is needed such as inertial, or position sensors. But the optional "AOA DISAGREE" warning on the Max only alerts if the disparity between the two exceeds 10°. That would, of course, have trapped the 20° discrepancy on the Lion Air flight. And now about Boeing wunnerful quality control from WSJ- off this topic but IMO does fit in with this mess. CEO and several PR and mid management types need "to spend more time with family" PR code for brass being FIRED ! The U.S. Air Force has lost confidence in Boeing Co.’s BA -1.02% ability to maintain quality control over a new aerial refueling tanker it is building, with a senior Pentagon official saying Thursday that it could take at least a year to rebuild trust in the program. The tanker problems predate this week’s crash of a Boeing 737 MAX airliner being flown by Ethiopian Airlines, resulting in a global grounding of the passenger jet following an earlier crash of the same aircraft model last year.Boeing delivered the first of the KC-46A Pegasus tankers in January, more than a year late, after a series of production and design problems left the aerospace company nursing $3.5 billion in losses on the initial $4.9 billion contract.The Air Force then suspended deliveries in February after finding tools and other debris left in some jets, prompting a sharp rebuke from defense chiefs. CNN; "Air Force Roper emphasized to reporters that while the issue of the material and objects -- known as Foreign Object Debris, or FOD -- being left inside an aircraft as it comes off the production line is not a design or safety risk, it is a matter of great concern to the military"
When did the USAF start operating B744s ? I guess not pulling the pins on the ejection seats is not a safety risk either by that standard. As Dave stated , you are not wrong. 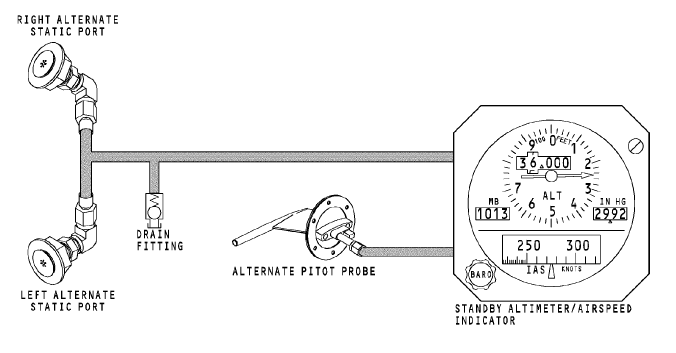 As an example, if the port pitot is shielded due to crabbing, so is the port static. the starboard pitot and static are overexposed. Think about the readings using the port pitot with the port and starboard static...in a crosswind situation. While the pitot are mounted close to the nose, the static are further back, compounding the issue..
this is a very complex dance. Last edited by Smythe; 15th Mar 2019 at 03:57. Guam and cost the USAF a bundle in one smoking hole. actually the B2 was rebuilt and put back in service ..